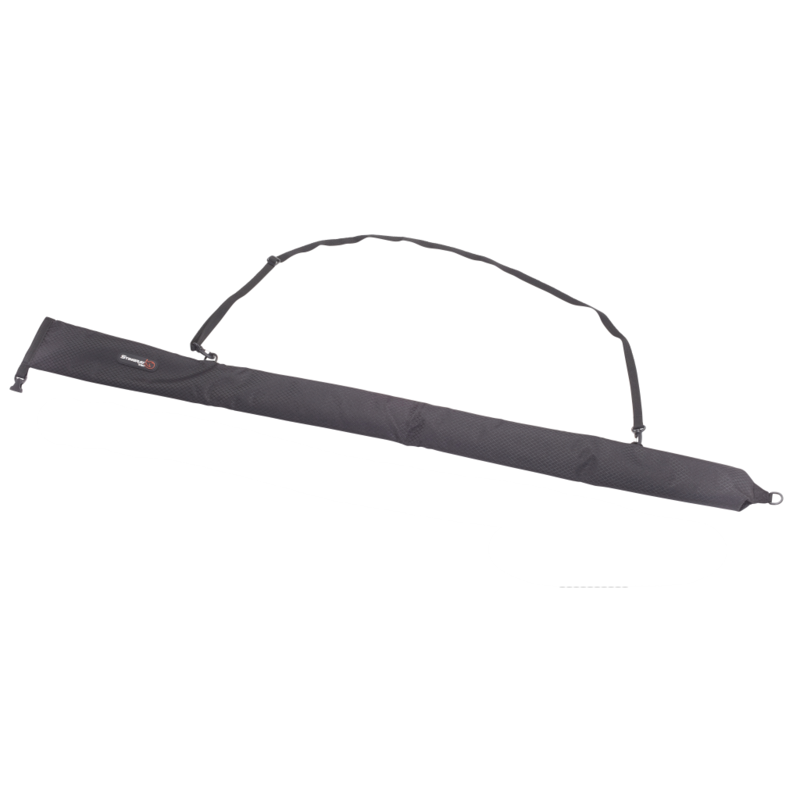 The Boomshine Kit contains K-Tek’s secret formula Boomshine to keep boom poles cleaned and polished throughout their long life on set. 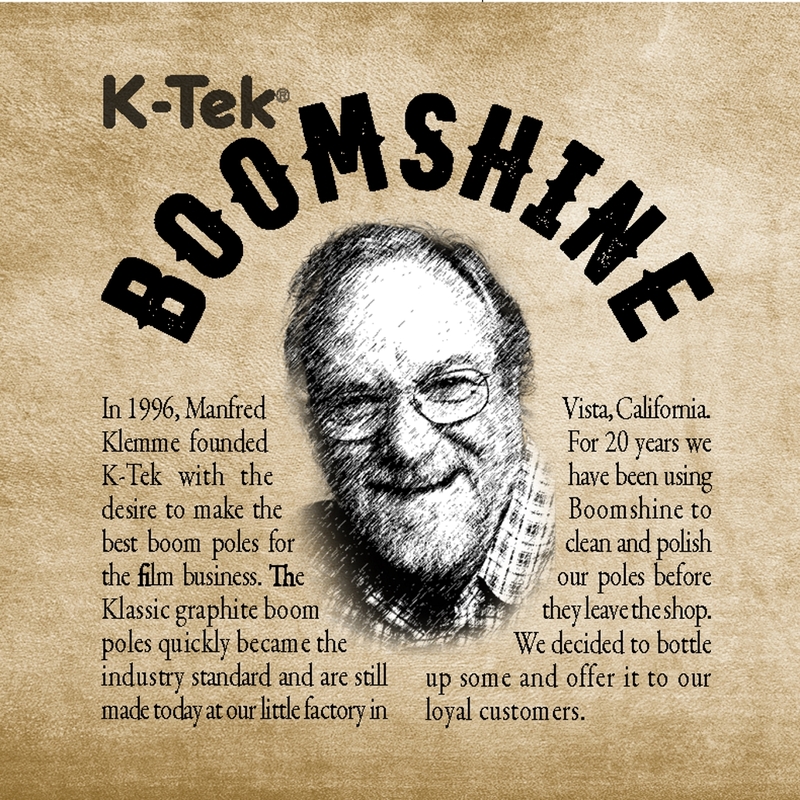 Boomshine was originally formulated by K-Tek founder and industry innovator, Manfred Klemme. All new Boom Poles and Repair booms that leave the K-Tek factory are cleaned with Boom Shine. The Kit contains a 4 oz. Bottle of Boomshine and two Microfiber cloths. 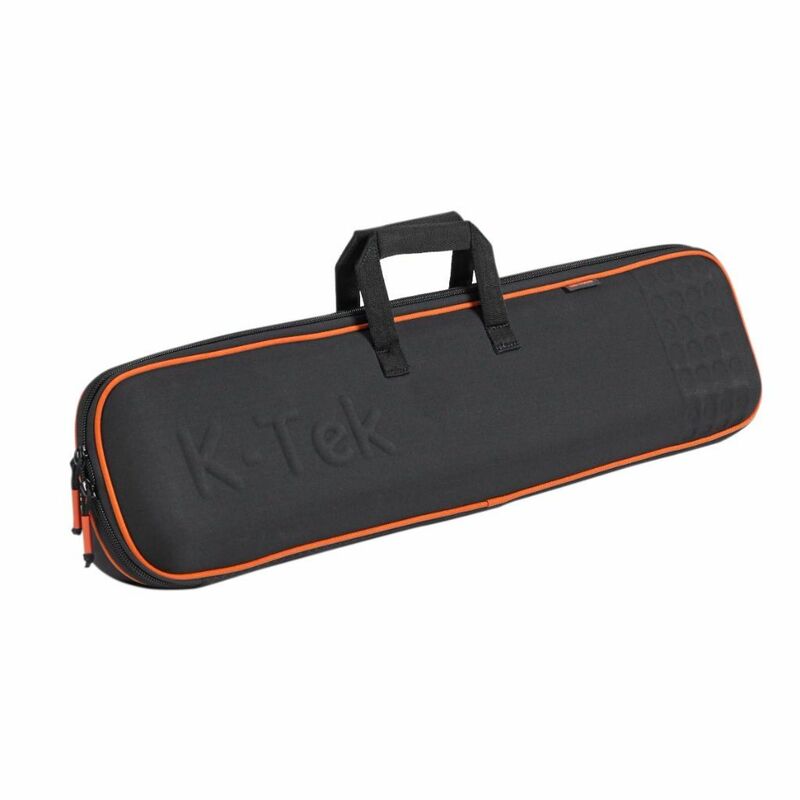 K-Tek, known for their award-winning microphone boom poles for the past 2 decades, now offers customers its secret formula Boomshine, to keep poles cleaned and polished throughout their long life on set. 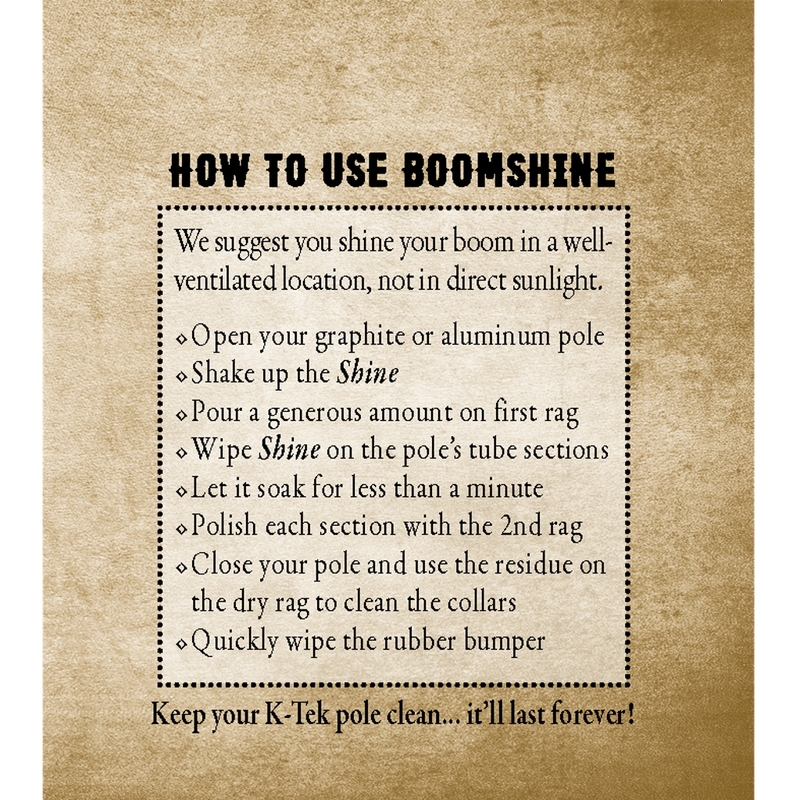 Boomshine was originally formulated by K-Tek founder and industry innovator, Manfred Klemme. 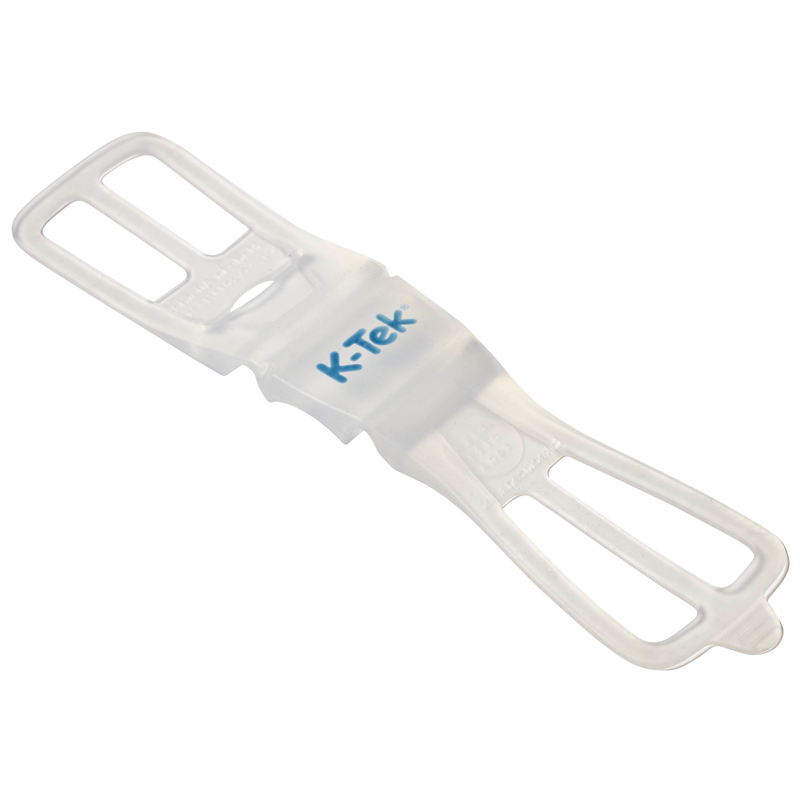 He used it in his little machine shop after inventing the original lightweight and virtually unbreakable K-Tek Klassic. His poles fast became an industry standard for professional boom operators. Twenty years later, those same poles and more are being built and polished with Boomshine before they leave the Southern-California factory. 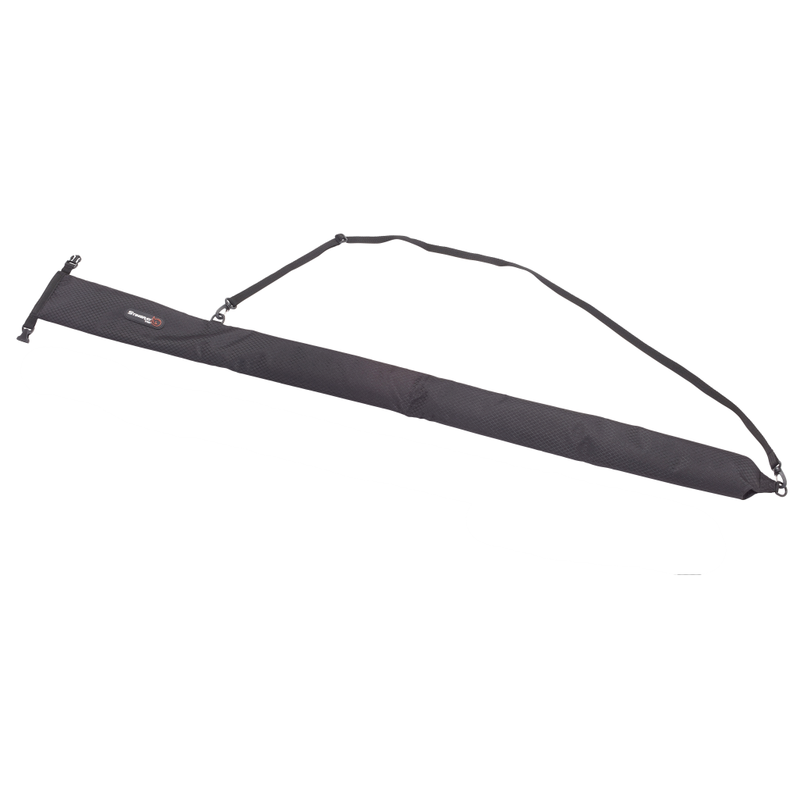 Boomshine is ideal for K-Tek Klassic and Avalon Aluminum and Graphite poles, as well as Carbon Fiber (or Carbon Fibre) boom poles and the booms of other brands. 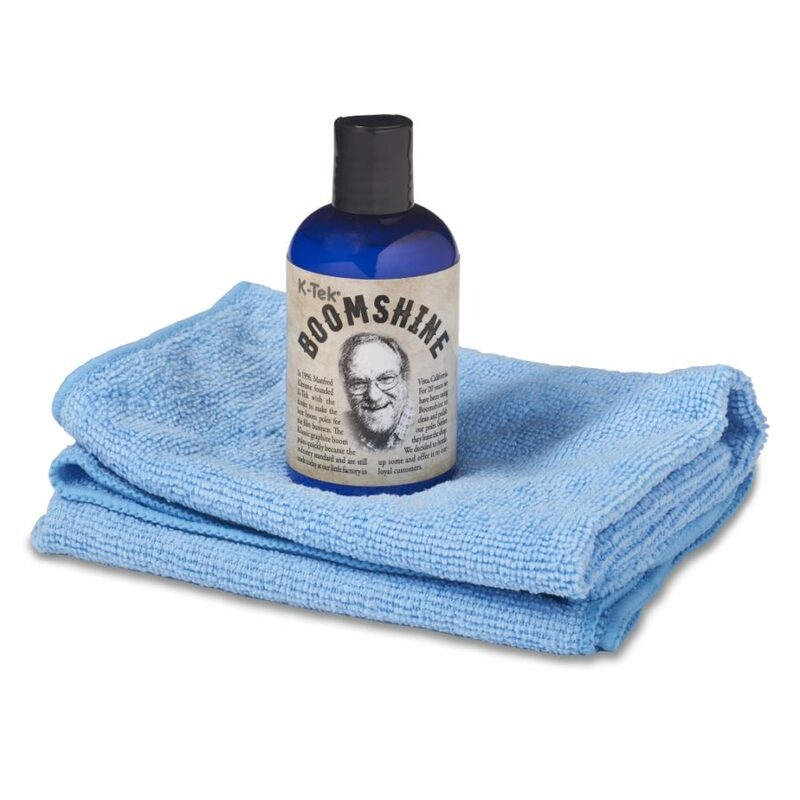 A 4 oz bottle of Boomshine and two microfiber cloths are included in the Kit.